Remove the upper brake shoe return spring (1). Remove brake shoe adjuster (1). Remove the brake shoe adjuster actuator lever (1). 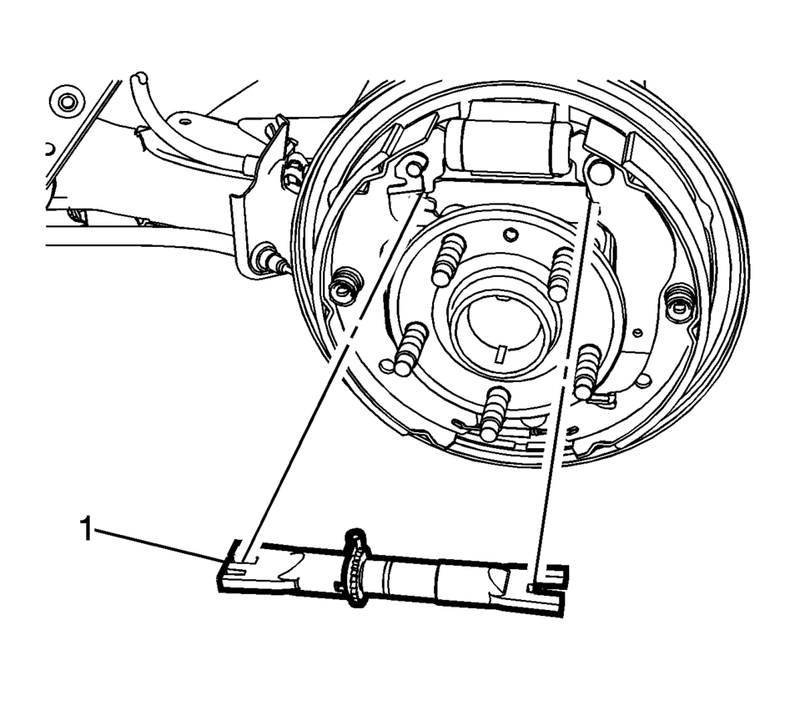 Inspect the drum brake adjusting hardware and replace any damaged components as necessary. Refer to Drum Brake Adjusting Hardware Inspection. Disassemble the brake shoe adjuster and thoroughly clean the adjuster screw threads of any corrosion. Apply a light coat of high temperature brake lubricant to the brake shoe adjuster screw threads. 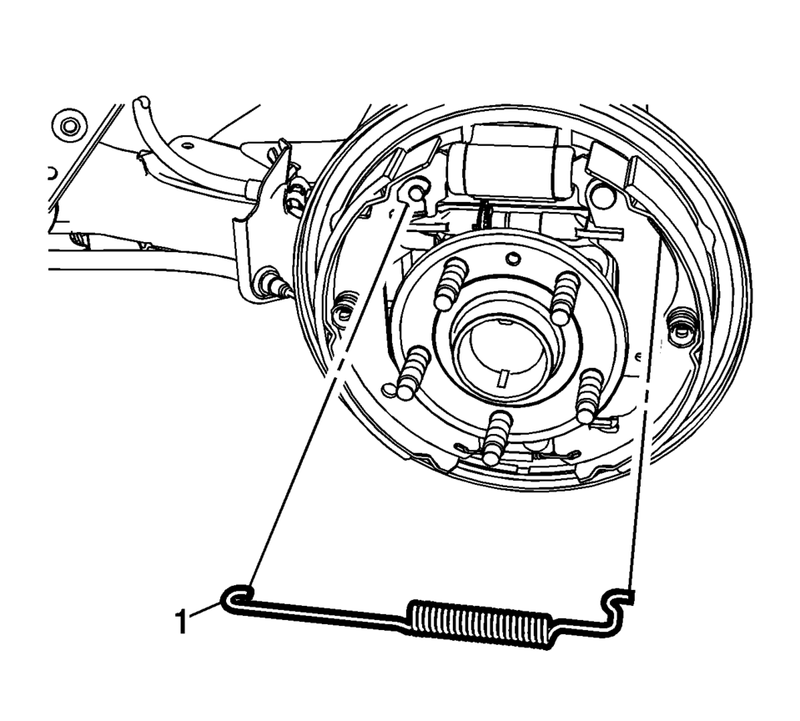 Assemble the brake shoe adjuster, setting the adjuster to the fully retracted position. Clean the drum brake backing plate of any dirt and debris. Apply a light coat of high temperature brake lubricant to the brake drum backing plate shoe contact surfaces. Install the brake shoe adjuster actuator lever (1). Install brake shoe adjuster (1). 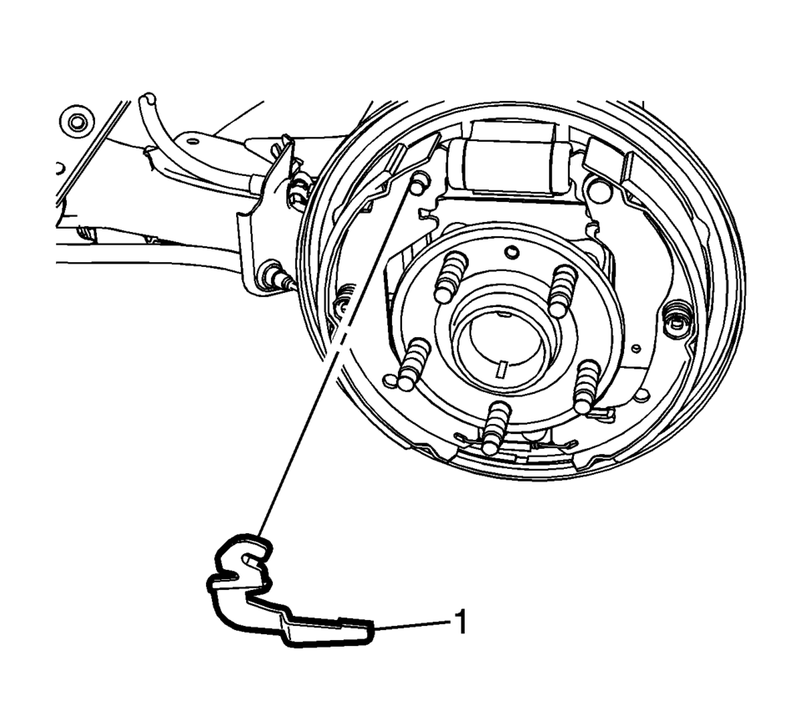 Install the upper brake shoe return spring (1).